Training the Bird Hunters Bird Dog with Scott Miller DVD. $14.99. It was too militant. Way over my head and capabilities. The author did not explain things well, nor did he offer alternatives if what he showed didn't work. I learned nothing from this video. 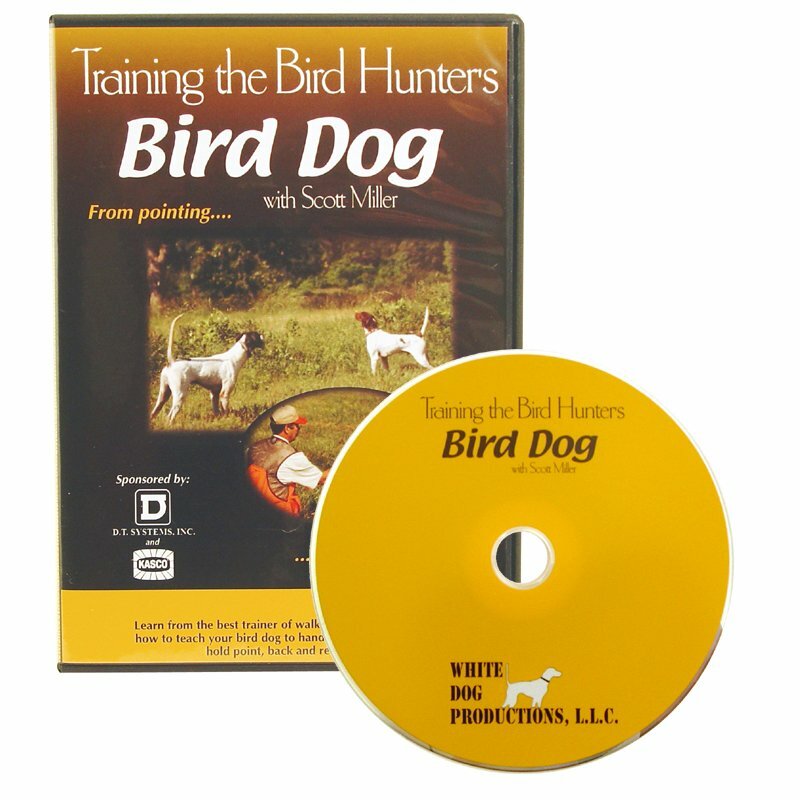 Learn from one of the best bird dog trainers. 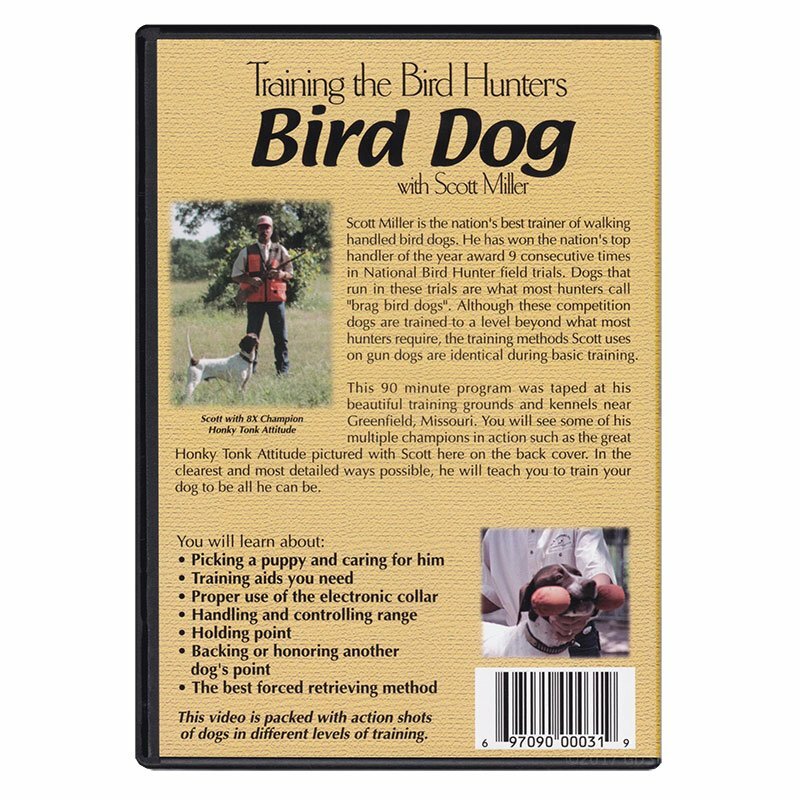 Scott Miller is arguably the nation's best trainer of walking-handled bird dogs. He won the nation's top handler of the year award nine consecutive times in the National Bird Hunter field trails. Dogs that run on these trails are what most hunters call "brag bird dogs." Although these competition dogs are trained beyond what most hunters require, the training methods Miller uses on gun dogs are identical during basic training. This program was taped at his beautiful training grounds and kennels near Greenfield, Missouri. You will see some of his multiple champions in action such as the great Honky Tonk Attitude. 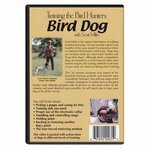 In the clearest and most detailed ways possible, he will teach you to train your dog to be all he can be.